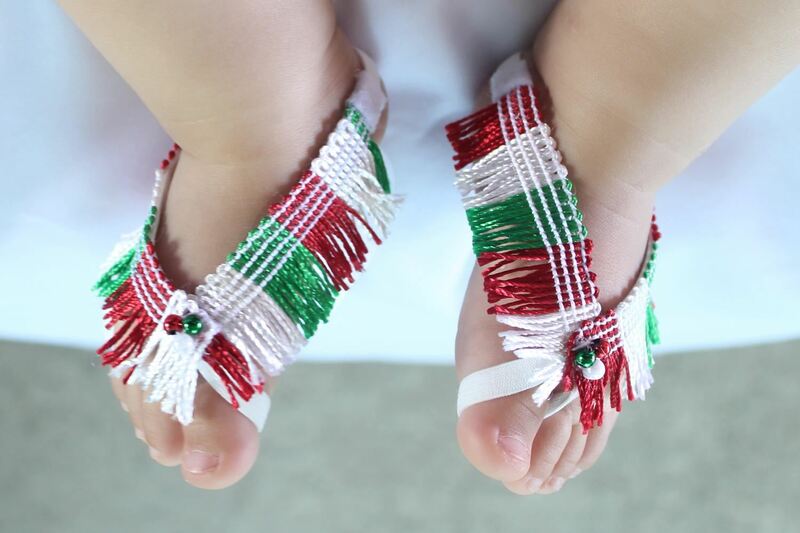 This listing features a super cute Mexican Sandals. It is made from soft Fringe Trim. They are very comfortable to wear for Babies. These Barefoot Sandals are just perfect for any age! The front part of these sandals will not stretch but there is enough stretch elastic on the back for a perfect fit.